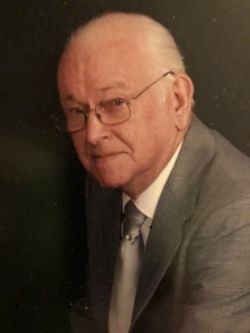 Jerry Carl Wilkerson, of Little Rock, passed away Tuesday June 5, 2018 of a rare complication of Rheumatoid Arthritis. Jerry was born (with his twin, Joyce) in Selma, Arkansas on May 7, 1939- the 5th of 6 children of Dixie Roy and Mary Lee (Beard) Wilkerson. Serving our country as a Spec 5th Class in the US Army in Schwetzingen, Germany, he met and married Gabriele (Oberacker) in 1962. Jerry loved spending time in Germany and was a longtime member of the German-American Club in Little Rock. He enjoyed performing in the German dance troupe that performed in many festivals and events. He was an avid outdoorsman, a 32nd Degree Mason, and a dedicated daily crossword puzzle solver. He was a Master Electrician, first in construction, then in the maintenance shops at UAMS and ADH. Jerry is predeceased by his parents and his siblings. He is survived by his wife; daughter, Maria Francis of North Little Rock; sons, Carl Thomas (Brittney) and William Gunther (Donna) all of Little Rock. He leaves grandchildren he adored- Summar Standridge (Josh), Christianna Braddix (Spencer), Engelica Francis, and William 'Gunther' Wilkerson, Jr. His legacy continues with 6 great-grandchildren. Also remaining are 11 nieces and nephews and a wonderful extended family. The family wants to extend heartfelt gratitude to Dr Zainab Siddiqui, Dr Rhonda Gentry, Dr Katherine Ferren and Dr Umair Afzal for their attentive care of Jerry during this difficult time. Services will be Saturday June 9, 2018 at 11am at Oak Park Baptist Church, 8200 Flintridge Rd, Little Rock, under the direction of Dr. Gary O'Neal, Senior Pastor. In lieu of flowers, the family requests sending donations in his memory to Oak Park Baptist Church.